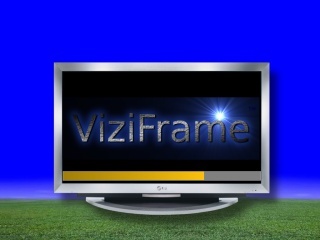 This is a description of the operation of the ViziFrame Server and the ViziFrame Client. This description is provided as a quick reference accompanying the ViziFrame Client application documentation. The ViziFrame Server can be connected to most SVGA phosphor or LCD monitors, flat panel LCD displays, flat panel plasma displays, projection TV's, DLP TV's and any other device capable of displaying computer video via a DB15 SVGA connector. Additionally, if the ViziFrame Hardware is equipped with it, you can output video TV's, cable systems, projections TV's etc. You can output NTSC or PAL composite or S-Video (Y/C component video) from the ViziFrame Server Appliance directly. Separate scan converters to convert SVGA to NTSC video can also be used. When the ViziFrame Server is set to fetch images via FTP or HTTP protocol via the Internet or from a file server on your LAN, it checks to see if a newer image exists on the server, and downloads and displays it automatically when a new file is detected. Images that have been downloaded are automatically stored in a local image cache in the ViziFrame server to reduce bandwidth requirements. This is a Linux based appliance which boots automatically displays images in a slide show. The ViziFrame Server is updated by the client via standard FTP communications. The ViziFrame Server typically is a pre-configured dedicated PC with embedded Linux OS booting from a non-volatile Flash memory disk or card. This pre-configured appliance may take different forms depending on the application, but usually comes as either a desktop, wall mount, or 1U rack mount PC case. The images displayed in the ViziFrame Server's slide show are automatically obtained via the Internet (HTTP or FTP, selectable for each image) and the slide show is controlled by two playlists: a Static Playlist and a Dynamic Playlist. Images listed in the Static Playlist are displayed whenever the Dynamic Playlist changes and images listed on the Dynamic Playlist need to be updated via the Internet. The Static Playlist is intended to be a brief list of images as it is only displayed for a short period of time. When the machine has examined the Dynamic Playlist and has collected the images listed there, it will begin playing the list in a slide show. The Dynamic Playlist may contain any number of images. The Dynamic Playlist may also contain references to Loop Sets. Loop Sets are groups of images that will be displayed quickly in succession to portray animation. 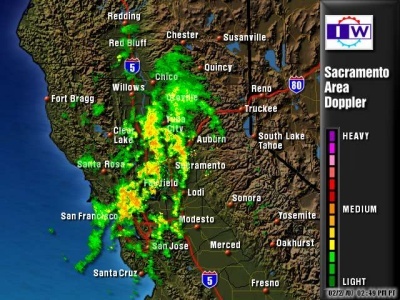 This can be used to show a full screen animation flip chart, or in the case of weather, a time lapse of several hours worth of weather images. The frame rate of the loop is not as fast as a movie, but considerably faster than the standard slide show rate. The rate of display is typically 2-4 frames per second, depending on the speed of the hardware used. When power is first applied to the ViziFrame Server, it will boot like a normal PC, you'll see the PC Bios screens followed by a LILO loader message and then a message showing the ViziFrame Server being loaded. It will also indicate the version number of the ViziFrame Server software. Next you'll see the splash screen and orange software loading progress bar as shown below. Your firmware license registration name will also be displayed. The orange software loading progress bar may pause for a few seconds, or even up to a minute or more to perform housekeeping and network access tasks. Please be patient while the ViziFrame Server Appliance boots up. The setup wizard screen after the splash screen will ask you if you want to go into configuration. It waits 10 seconds. If you do nothing, the ViziFrame Appliance will continue booting and begin playing its last slide show. If you aren't using a wireless network, you won't see any Wireless Link Quality value displayed. The reason for having the IP address and the wireless link quality displayed here is so that you can "at a glance" determine if the wireless network is running, and that your router did a DHCP address assignment, and that your signal quality is acceptable. By pressing continue, you will be able to change the configuration values of the ViziFrame Server that correspond to your specific network needs. Each phase of the configuration has some descriptive text that appears on the screen to help you in the process. When you have finished configuration, the ViziFrame Server will then restart its slide show and begin fetching images via the Internet if they have been specified for FTP or HTTP retrieval. 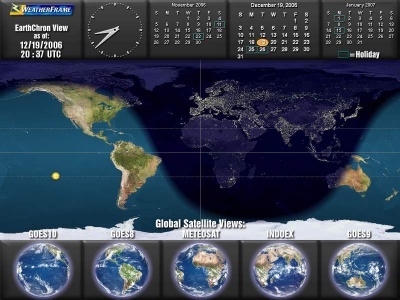 If you elect to set the date and time, you will be prompted to select a time zone, then a date and time. Use the TAB key to navigate between the fields of these dialogs, and use the Arrow keys to change the values. The time is displayed in a 24-hour clock format for clarity. The ViziFrame System uses standard Ethernet TCP/IP networking protocols to communicate between the ViziFrame Client and the Server(s) multiple ViziFrame Servers can be on a single network, each with a static or Dynamic IP address. Likewise, any number of ViziFrame Servers can exist on the Internet in any location, each with a static and public IP address. ViziFrame Servers can be placed on remote DSL connections or other high bandwidth services to allow remote programming and automatic update of slide show content. ViziFrame Servers can be configured for wired CAT5/CAT6 network access (built in) or optional 802.11B Wireless (WiFi) networking. This is useful if you have a wireless network that may drop device connectivity on occasion or if your wired DHCP server requires devices to reset in order to get renewed client leases. When this reboot is performed, all network devices will be reset. The internal image cache for network fetched imagery will also be refreshed. 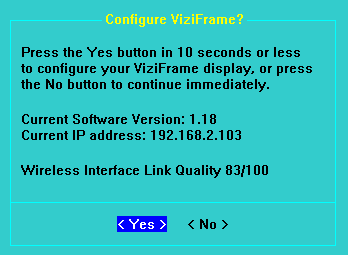 If set to Yes, the Viziframe machine will automatically reboot at the specified time every day (or night). Arrow keys to change the values. These settings are in the ViziFrame's BIOS and can be accessed at boot time by pressing the DEL key until the BIOS Settings menu displays. Choose "Advanced Chip Settings" and then choose the type of display combination you wish. Additionally you can choose the American TV standard (NTSC) or the European PAL TV standard. NOTE: A cable connected to a TV set, TV monitor or other device MUST be connected to the ViziFrame Server Hardware at bootup. The BIOS detects the presence of a TV composite or S-Video device and then enables that output. If you set these settings, and no TV output appears, be sure a composite or S-video cable is connected, then reboot. It should then be detected and you should see video in the TV. Also, when using the CRT + TV setting, you may have to adjust the SVGA computer monitor's settings to compensate for a stretched or distorted picture. When producing NTSC or PAL video output, there are constraints on the scan rates that can be used and depending on the type of SVGA computer monitor you have connected, it may not be able to automatically adjust for this change. The client application runs on Microsoft Windows PCs. The application allows the user to create Static and Dynamic Playlists and transmit them to any number of ViziFrame Servers via FTP. 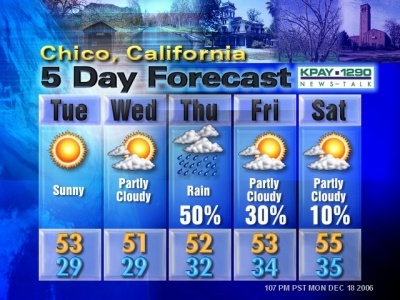 The client application initially shows four panes in a single window, as shown below. The bottom pane displays controls where the user may enter image data, more on that below. At the top of the ViziFrame Client program a toolbar also contains buttons that change the display. Pressing the Thumbnail button will display a window that shows thumbnail images for all of the items in the list that have been stored locally, either by direct path or by fetching the latest version of the image from the server. Pressing the Full Size View button will display a full size view of the selected image. Pressing the Playlist View button will display a full-window version of the play list. Pressing the Creator View button will return the display to the normal paned windows. There are two types of play lists that can be created. 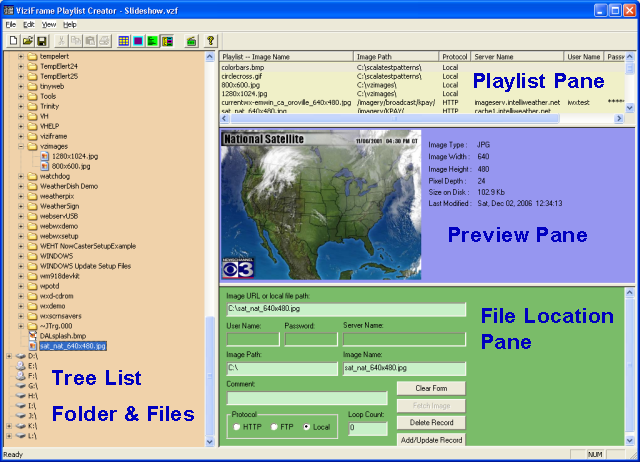 The Static play list is displayed by the ViziFrame Server when it is starting up or when the Dynamic play list changes. It is currently set as a default set of images showing a monitor saying "a new show is being loaded, please wait". This list is intended to be a short (usually 1 to 5 image) list that gives the user some feedback during the Dynamic play list initialization and communications. Images in the Static play list must be local images, not images that must be fetched from a server. You can update the Static play list to be any image or sequence of images you wish. The Dynamic play list is the normal slide show that the server displays on a continuous basis. The Dynamic play list may contain images that are stored locally as well as images that are fetched periodically from a server via the specified URLs. To create a new Play list, choose File and then New to create a blank Play list. To modify an existing Play list choose File then Open to load it, then modify it per instructions below, and then do a Save... or Save a Copy As... from the File menu. ViziFrame will accept the following image format types: BMP, JPEG, PNG, and GIF. 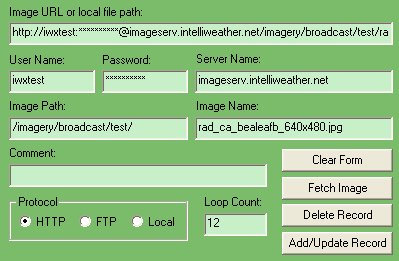 Images can be local, on a mapped network drive, or on an Internet/Intranet web server using HTTP or FTP protocols. Local images are static in the play list, meaning they only change when you take some action, while images on an HTTP or FTP server will change automatically whenever they are updated on the server. Images that aren't at the resolution specified in the ViziFrame Server configuration will be automatically scaled to fit. If the images are not 4:3 aspect ratio, then some distortion of the image may be seen as a result of the "scale to fit" process. You'll immediately be able to tell if this is the case by viewing the image in the Preview Pane of the ViziFrame client. The display resolution of the ViziFrame Server can be set using the ViziFrame Configuration that is presented at bootup. The Image URL or Local File Path field is where the actual URL (or local file path) that the ViziFrame Server will use to retrieve the file. This field will be filled in automatically as the user enters data in the other fields, or the user may copy and paste a URL from a web browser’s Address window. In that case, the program will fill in the other related fields from data in the URL. URLs must follow the RFC 1738 specification. Specifically, that means that the normally deprecated username/password constructs are allowed in HTTP URLs. where <drive> is a drive letter like C, D, E. etc. Please note the use of forward slash characters / in the URL, and backward slash \ characters in local path names. The user can also choose a "public" image on an HTTP server that does not require a username and password, simply leave those fields blank in this case. An easy way to put URL's into the playlist is to open the images in your web browser, and then copy and paste the URL into the ViziFrame Client. The user may enter a comment that consists of any characters, up to a maximum of 255. The comment is displayed in the comment field and is saved in the play list but it is not listed in the item list columns. The comment is included in the list that is transmitted to the server. The user adds an item to the play list by pressing the Add/Update record button. When the user has entered the pertinent URL data by either filling out the individual fields or by copying and pasting a URL from a web browser, the program will determine whether an item with the same image name exists in the current play list. If an item with the same name already exists, the user will be prompted to overwrite the existing record. If no matching item exists, the item is added to the list, just below the current selection in the play list. Note that the ViziFrame Client will intelligently parse any URL you paste into it, and automatically fill the appropriate fields in the dialog. Please note that the computer must have an active Internet connection for this Fetch Image button to work. When the user presses the Fetch Image button, the program will contact the image server and retrieve a copy of the image that is specified in the URL. A progress window will show the steps that the communication function is taking, and will also display any errors that occur during the transfer. The image is stored locally in \viziframe\images\ folder. In the case where an image is part of a loop set, the base (first) image (see Naming Conventions below) will be fetched. The default factory supplied ViziFrame Server username and password will automatically fill in, all you need to do is supply the IP address. Then open the File Menu and choose your printing options and you'll see the standard Windows printer dialog open up. 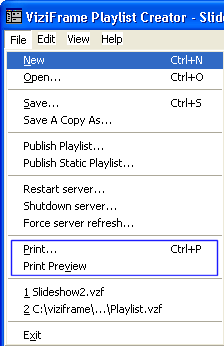 You'll then be able to choose what printer to print the play list on. In normal use, the ViziFrame Server is designed to operate 24/7 and trouble free. It has internal housekeeping functions to keep it running smoothly. But on occasion, due to a network or power interruption you may find a need to perform some restarts or to force updates of content. The ViziFrame Server is based on Linux, and anyone whom has a working knowledge of Linux can do advanced work on it. For example, you can log in via Telnet SSH remotely and run commands. Please note that we are using a rarefied version of a full Linux distro, so some commands and function may not be available. But knowledge of Linux is NOT required to use the product or to maintain it. We have commands in the ViziFrame Client that allow basic maintenance functions without ever using a Linux command line. Cleaning: If you are running the ViziFrame Server in a dusty environment, you may need to clean dust out of the case and ventilation fans. Depending on the hardware, there may be one or two fans in the case, or even none if a large heat-sink is used. Irregardless, keeping the electronics clean will ensure a cooler environment and trouble free operation. There is a thermal shutdown built into the motherboard to protect the processor chip should airflow become blocked. Power: Like with any computer, AC power may get interrupted from time to time. The default setting we place in the motherboard BIOS is to restart the ViziFrame once power is restored, but you can change this is you like. Like any computer. the ViziFrame is not 100% fault tolerant of power interruptions, and an uninterruptible power supply is the best solution. When powering off, a Safe Shutdown is preferred, see below. Choose Restart Server or Shutdown Server from the menu, then choose the server from the pulldown list as shown below, or type in the IP address, username/password of the Server you want. This will exit the slideshow and give you the ViziFrame root command prompt. Power down: type frame-shutdown at the command prompt and the ViziFrame Server will go through a shutdown sequence then power off. If you have recently made a change to the network, network settings, or the network has stopped running you made need to send a Refresh command to the ViziFrame Server. To do this simply repeat the steps shown above for the ViziFrame Client, choosing the Force server refresh command. This will direct the ViziFrame server to clear all images that it fetches via the network and reload them from their respective server URL locations. 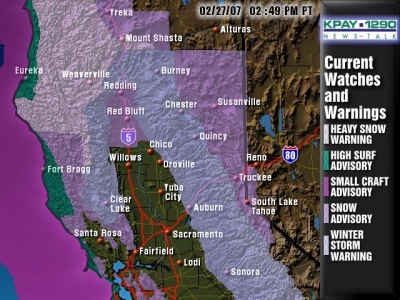 During this time, you'll see the Static Playlist display, where it will give a series of images telling your to "please standby", and then when the update is complete, it will play the Dynamic Playlist complete with local images as well as refreshed images fetched via the network. The ViziFrame Server boots and runs from Flash memory. It acts just like a hard drive for all practical purposes, and while its not prone to mechanical shock or damage, it should be treated like a hard drive so that accidental corruption doesn't occur. 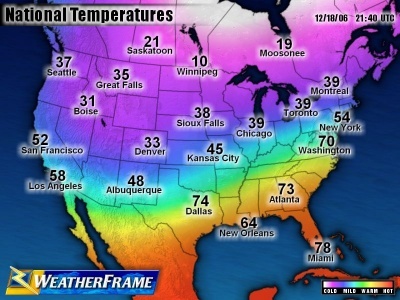 DO make sure the ViziFrame Server is not running in an over-temperature environment such as a closed space. Don't mount it such that other electronics may be venting heat to it. DON'T unplug or power off or reset the ViziFrame Server in the middle of its operations, like with any computer, it's possible it's disk could become corrupted. 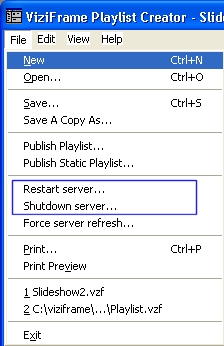 Whenever possible, use the remote Restart and Shutdown commands from the ViziFrame Client, or from a direct keyboard initiate a shutdown using CTRL-ALT-Backspace and then type "frame-shutdown" Treat the ViziFrame Server just as you would any personal computer when doing startup/shutdown. DON'T send commands or scripts from the Client during ViziFrame bootup, or immediately after the ViziFrame Server boots up. Wait a minute or two after the slide show starts running to send any new scripts of commands to give time for all the startup background processes and housekeeping to complete. The ViziFrame Server is designed to run trouble free 24/7, but like any computer, problems can develop. Here are some common problems and solutions that you may find useful. Solution: If you are running the ViziFrame Server on your network using DHCP (Dynamic Host Configuration Protocol) then the ViziFrame Server may have simply been assigned a new IP address by your LAN router. 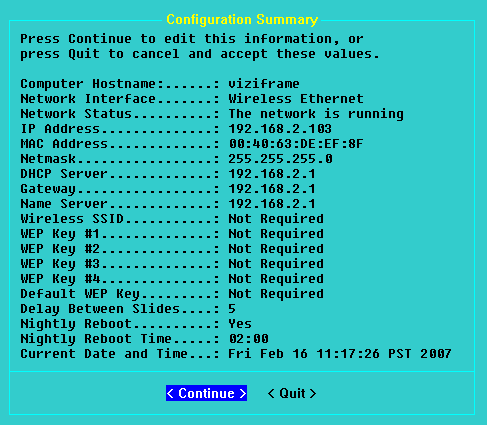 To find out what the ViziFrame's new IP address is, you'll need to get to its configuration screen. To do that you'll need to shutdown and reboot. You'll need to connect a keyboard tot he ViziFrame is one is not already connected. Quit this screen by answering "No" and allow the ViziFrame server to continue booting. Once the slide show is running, wait 30 seconds and then enter the new IP address into the ViziFrame Client program and then run a test to see if the client can communicate with the ViziFrame Server. Sending a refresh or restart command will do this nicely, and you'll be able to see in the Comm Status if the communications was successful. Problem: I can communicate and send new scripts, but the ViziFrame Server is not running any new scripts that I've sent. Solution: The ViziFrame Server may be in a confused operational state. Try sending a "Force server refresh..." command to see if that clears the problem and begins running the new script. If it does not, try sending the "Restart server..." command to see if that clears the problem. Solution: If the missing elements are being fetched from an Internet or Intranet server, that server or network path may be down. Try testing the URL's in the ViziFrame client using the "fetch image" feature to see if they update. If not, then that indicates the problem is network or network server related. If the elements that are missing are local images, its possible they may have been cleared from the ViziFrame's RAM disk for some reason. Try sending the "Force server refresh..." command or if that does not restore it, try sending the main script again. Problem: I setup the ViziFrame Server on my wired Ethernet network and it runs great, when I switched to my WiFi wireless network it stopped working and I cannot communicate with it. Make sure the ViziFrame Server Wireless settings are correct. A good way to do this is to compare settings with a laptop or other wireless enabled PC on your wireless network. If you have a working wireless connection elsewhere, you should be able to copy those settings to the ViziFrame. Most common problem is a misspelling or a wrong IP number. Make sure your wireless router supports 802.11B wireless protocol. The USB wireless dongle for the ViziFrame Server uses 802.11 B only. If your wireless router is set for 802.11G then you may need to set it to support BOTH wireless B&G protocols. Be certain that your router is not blocking FTP or HTTP requests. If you can't communicate from your wired network to your wireless network, then you won't be able to run the ViziFrame Client on a wired portion of your network and communicate with the ViziFrame on the wireless portion. Check to see that wired to wireless bridging is enabled, and if your router does not have that feature, then the only way you'll be able to communicate with the ViziFrame Server is from a PC connected to the same wireless network. If you want remote access to the ViziFrame Server from outside your network, such as from home, you'll need to be sure its assigned a public and static IP address, or a static NAT translated address in your router if it lives behind a firewall. NOTE: ViziFrame tech support cannot help you configure your network, that responsibility lies with you or with network administrators in your company. 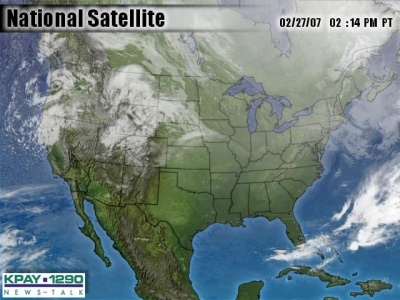 The ViziFrame CD ROM contains a variety of background images suitable for use with digital signage applications. These are royalty free images that can be used in conjunction with a Paint Program such as Paint Shop Pro or Adobe PhotoShop to add text or images to to promote your product, service, or brand. You can find these images in the \backgrounds folder. They are at various resolutions and in GIF, JPEG, and PNG image formats. Also included are some television test patterns suitable for helping you get your TV or LCD monitor setup for best viewing. This manual is the same manual that is included on the CD ROM that ships with ViziFrame. This page will be updated regularly as the manual evolves. Should you have suggestions or additions/corrections, please use the contact link above to let us know.